We wish all our readers a safe and happy festival. Gong Xi Fa Cai to everyone! May the Year of the Snake bring joy, prosperity and good health. Eat, drink and be merry but remember to stay safe. 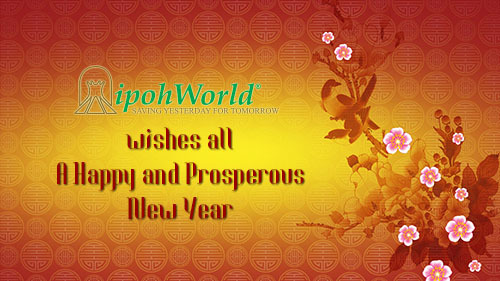 Gong Xi Fa Cai to everyone on Ipohworld’s World.